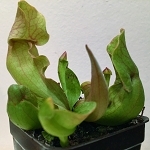 A complex cross involving S. purpurea, S. rosea and S. flava. 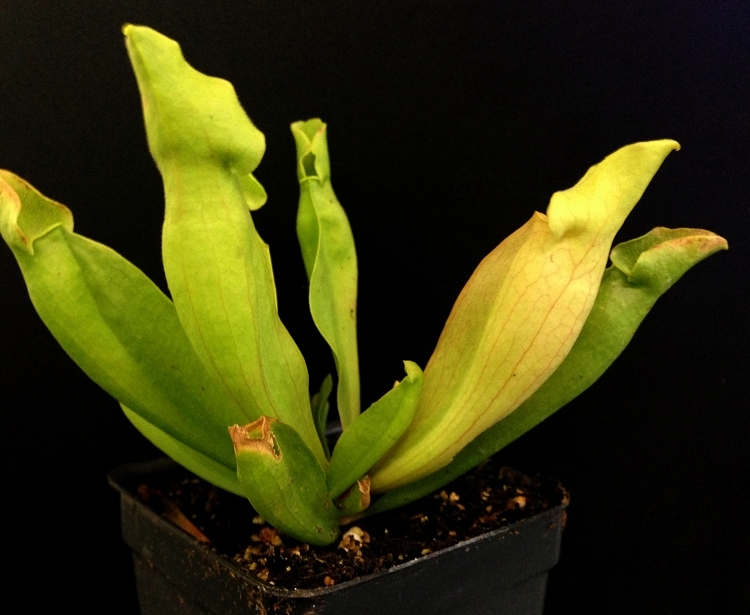 It has bright green pitchers and closely resembles the rare, all-green S. pupurea var. heterophylla but is much easier to grow and far more vigorous. Available plants are growing in 3" deep pots.